Half the patients in the study are still alive, and a third show no signs of cancer at all. Could This Treatment Cure Cancer? Despite the many advances in medicine over the last century, a cure for one of the most prevalent and devastating diseases in the world today continues to evade us. But thanks to new research, that could soon change. Kite Pharma, a US pharmaceutical company, just released the groundbreaking results of their six-month gene therapy trial: terminal cancer patients in complete remission after just a single round. The treatment filters a patient’s blood to remove T-cells, immune system cells that can be genetically engineered in a lab to identify cancer cells. Cancer cells thrive because of their ability to evade the immune system. This new therapy boosts immune cells so that they are able to eliminate cancer cells more effectively. Patients who participated in the trial had one of three types of non-Hodgkin lymphoma. The advanced stage of their conditions meant all of them were given only a few months to live. 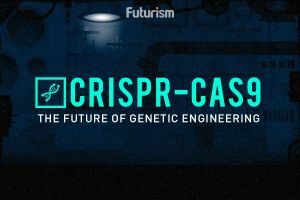 However, following the first round of gene therapy, which took place nine months after the trial began, half the patients are not only still alive, but a third of them appear to be cured. Among them is a 43- year-old named Dimas Padilla from Orlando, Florida whose cancer had stopped responding to chemotherapy. He completed the first round of the trial’s treatment last August, and his cancer is now in remission. “These results are promising and suggest that one day CAR-T cells could become a treatment option for some patients with certain types of lymphoma,” said head cancer information nurse, Martin Ledwick from the Cancer Research UK, in an interview with The Telegraph. While the results are promising and could prove to be life- changing for patients with terminal cancer, the treatment is not without risks. Because the therapy essentially puts the human immune system to go into overdrive by radically altering human cells, complications are certainly possible — some of which could be fatal. In fact, during the trial, two people died as a result of the therapy — not because of the cancer. Some patient’s immune systems overreacted in its effort to kill the cancer cells, while others developed blood-count related issues such as anemia. Reports of patients suffering from neurological problems were also cited, but these side effects apparently only lasted a few days. More studies are needed to understand the therapy’s side effects, potential complications, and long-term benefits. The trial’s full results won’t be presented until April, and the pharmaceutical company still has to get approval from the European regulatory boards — which means it will be a while yet before the therapy becomes available. Given the possible risks, it might give them enough time to study the therapy further and refine the process — hopefully eliminating any adverse effects.